This is yet another of those questions I don’t quite remember the context for. I do recall that – around St. Patrick’s Day last year – his preschool did a thing where the teachers messed up the classroom while the kids were out on the playground, and then told all of the children that a leprechaun messed the room up. The kids then made “leprechaun traps”, which they set out overnight. The next day there were no leprechauns in the traps, but each one had a “gold coin” (really a chocolate coin” in it. My son was enamored, and I suspect that set off the following questions. “How small is a leprechaun?” he asked. That left me nonplussed. I’ve read a whole lot of myths and fairy tales in my time, but nothing about leprechauns that I remember. Certainly nothing about leprechauns that included mice. The Cluricaun, (Clobhair-ceann, in O’Kearney) makes himself drunk in gentlemen’s cellars. Some suppose he is merely the Lepracaun on a spree. He is almost unknown in Connaught and the north. The Far Darrig (fear dearg), which means the Red Man, for he wears a red cap and coat, busies himself with practical joking, especially with gruesome joking. This he does, and nothing else. Lady Francesca Speranza Wilde, writing in Ancient Legends, Mystic Charms, and Superstitions of Ireland repeats Yeats’ etymology, stating that “Leprehaun, or Leith Brogan. means the “Artisan of the Brogue.””. This meaning is generally regarded as “folk etymology“, in which unknown words are replaced by a more familiar word. 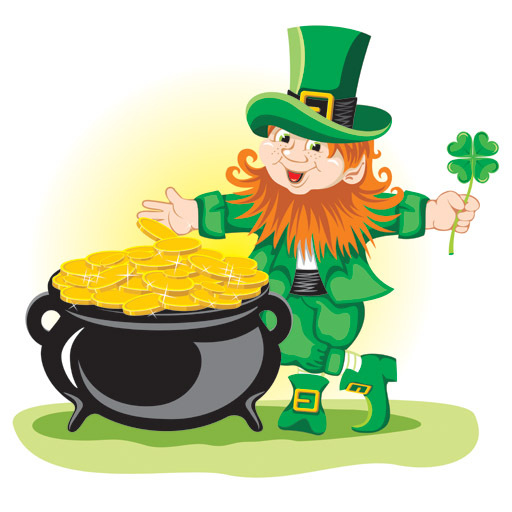 Modern linguists trace the meaning of leprechaun from the Irish lupracan, which comes from the Old Irish luchorpan, meaning “a very small body”. That word comes from the Proto-Indo-European *legwh- (“having little weight”) plus corpan (a diminutive of corp “body”). In other words, leprechauns are solitary shoemakers with an inordinate amount of wealth, who sometimes go on benders and sometimes play gruesome practical jokes. The “red cap” thing is particularly disturbing, because it brings the Scottish Redcap to mind. And nobody needs an iron-shod lunatic dying their hat in human blood as a cobbler. Yeah, shoes. Despite the word “leprechaun” meaning something along the lines of “small body”, leprechauns are kind of like the elves in the Irish version of The Shoemaker and the Elves. Except that they live by themselves, wear clothes, and don’t make shoes for humans. But they were worth looking out for anyway. As Lady Wilde put it, “the Leprehauns knew all the secret places where gold lay hid”. If you were clever and quick enough to catch one, you could get them to bargain their gold for their freedom. The Oxford Dictionaries says that “at the end of the rainbow” is used to refer to “something much sought after but impossible to attain”, so that would make sense in the context of a leprechaun hiding wealth (and in the context of the story). So how small are they? And are mice their friends? This is tricky at best. Lady Wilde describes them as “little” and able “to sit under the hedge” and “under a dock leaf”. I couldn’t find any specifics on the gap beneath a British hedge, but I did learn that “dock” is Rumex obtusfiolius, a plant that grows between 20 and 51 inches (50 and 130 cm). So that gives us a leprechaun height between 10 inches and two feet. Sadly, I can’t find anything about whether or not they are friends with mice. ← Why Is It Cold? Do you have a question you'd like me to research? Did you find a factual error in my research? Email me at richard_gant@yahoo.com. Follow me on Twitter @gant_richard. What Would Happen If The Sun Blew Up? How does your brain freeze? Why Don’t The Girls Have Antlers? Will President Trump Be On Money? A great place to start researching, a terrible place to finish researching.